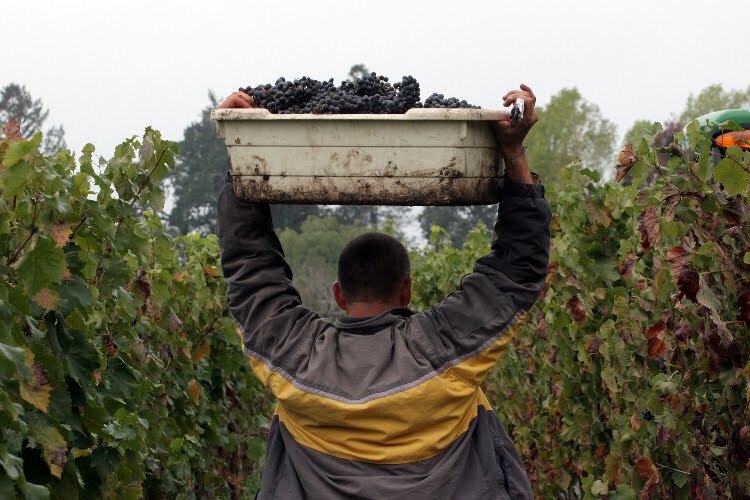 Right now in Wine Country it's all about the harvest. Around the state grape growers are racing to get the fruit picked before the rains come (and at higher altitudes they're hoping to beat the first frost). With the growing season over and the crop nearly tucked away, the time for celebration has arrived. And who knows how to celebrate better than the denizens of Wine Country? 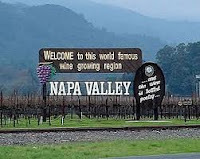 Where I live, in Sonoma Valley--mere minutes from Napa--festivals and parties and grape stomps are breaking out all over. If you've been intending to visit the region, now is a good time to make your move. Below I discuss three representative events, and then offer a roundup of harvest celebrations in Sonoma and Napa. But with hundreds of wineries in these two counties, I'm just skimming the surface. To find more events, use the official tourism links I give in the roundup sections below. And if you live in or near other stellar wine regions, in California or elsewhere, you'll doubtless find plenty of harvest celebratory action in those parts, too! 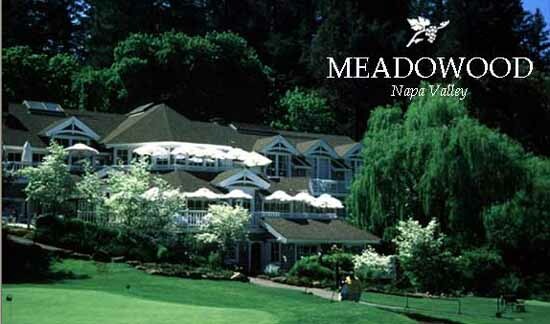 Taste with the Masters: This event will be held at the renowned Meadowood Napa Valley, consistently voted by readers of Travel & Leisure as a top destination. You'll join the resort's Director of Wine Education, Master Sommelier Gilles de Chambure (as well as MS Peter Granoff), who will guide you through all the intricacies of an extensive blind tasting that highlights the appellations and wine styles found in Sonoma and Napa Valley. From classic styles (e.g., Carneros Chardonnay, Alexander Valley Cabernets) to newer grape varietals (e.g., Albariño, Viogner, Sangiovese, and others), you'll get a comprehensive look at what's currently going on in these two great wine regions. Among the wineries covered: Schramsberg, Rubicon, Ravenswood, Paul Hobbs, Robert Foley, and Joseph Phelps. Friday, 10/15, 11-3; $200/person. Napa Sonoma Wine & Food Festival: Sonoma's CornerStone Gardens will bring together more than 60 wineries and winemakers, famous chefs, local artisans, well-known designers and wine industry insiders for a jam-packed three days of events. A culinary pavillion will host chef demonstrations and seminars; local artists will display their wares; a farmer's market will give ample proof of why this region is celebrated for its produce and culinary products. And, of course, there will be wine, wine, and more wine--up to 250 labels from Napa and Sonoma. Saturday, 10/16, from 11-4; $65/person. Landmark Vineyards' "Day on the Farm": Landmark Vineyards is a third-generation, family-owned winery located in the Sonoma Valley town of Kenwood. Come celebrate the end of harvest with the Landmark team, including owners Mike & Mary Calhoun and winemakers Eric Stern and Greg Stahl. Among the events: live music by jazz trio Laurent Fourgo & His Ensemble; library wine tasting of vineyard designated wines; a viticulturalist-led vineyard tour with a chance for hands-on activity (you'll probably pick grapes); a demonstration of harvest techniques; horse-drawn wagon tours of the estate; harvest lunch featuring brick-oven pizza, salads, and more; bocce and other lawn games. At this family-oriented winery, children are welcome. Saturday, 10/16, from 12-4; $50/person. The events below represent just a few among many harvest celebrations in Napa Valley. You can learn about more events at the official site for Napa Valley tourism; at Napa Valley Vintners, an association of more than 400 NV wineries; or at Appellation St. Helena, an organization of that viticultural area's wineries and grape growers. Summers Estate Wines Harvest Experience 2010: Partake in a foot grape stomp, taste blending wines used in Summers' Bordeaux Blend, enjoy a food/wine pairing, join in a Bocce Ball competition (the winning team gets a Magnum of wine). 9/18, 11-3; $50/person. Long Meadow Ranch Winery & Farmstead Harvest Party: A harvest bounty of food pairings by Farmstead Chef Sheamus Feeley. Whole Hog Roast, Hog Island Oysters, Long Meadow Ranch Grass Fed beef, all paired with LMR wines. Chef demo by Deborah Krasner, author of Good Meat. Live music from Supertaster. Horseshoes. Vineyard and farm tours. Benefiting Slow Food Napa Valley. 10/18, 12-5; $25-35. Chiarello Family Vineyards Harrvest Release: For those who buy one case or more of newly-released wines, Michael Chiaarello pulls out all the stops for this memorable feast among the vines. As always, the feast include barrel tastings of yet-to-be released Wines. 10/25, 1:00 (tasting) and 2:30 for the feasting. Free with case purchase. Raymond Vineyards' Harvest Stomp & Pickup Party: Get down and dirty during this year's Harvest and come crush the grapes the old fashioned way--with your feet! 9/25, 5-8; Free for wine club members; others, $10. Peju Winery Harvest Party & Grape Stomp: Begin the day as a contestant in the grape stomp competition, and then kick up your stomping feet to relax at an elegant dinner followed by dancing under the stars in the Peju gardens. 9/25 (Grape Stomp, 12-2; Dinner 6:30-11); $150 (public) or $130 (wine club members). Paraduxx Winery Harvest Celebration: Taste new wines, see the new labels and enjoy great culinary fare from Cindy Pawlcyn's acclaimed Napa Valley restaurants: Mustard's (one of my all-time favorite restaurants), Go Fish and Cindy's Backstreet Kitchen. 10/9, 2-6; $50 (public) or $25 (wine club members). The events below represent just a few among many harvest celebrations in Sonoma County. You can learn about more events at the official site for the Sonoma County Tourism Bureau and at Wine Road, an association of wineries and lodgings in Northern Sonoma County. Heart of Sonoma Valley Crush: The CRUSH Weekend Wine Tasting Pass gives you access to harvest activities and wine tastings at participating tasting rooms, which include Imagery, Eric Ross, Benzinger Family, Mayo, Wellington, Loxton, Deerfield Ranch, Kunde Estate, Kenwood, VJB Cellars, Muscardini & Ty Caton, Enkidu, Paradise Ridge, and Landmark. Download a PDF map with locations of participating wineries. 9/18-19, 11-4; $45 (designated driver pass is $20, entitling driver to non-alcoholic beverages and nibbles). Valley of the Moon Vintage Festival: Sonoma Valley has celebrated the harvest with this event since 1897, making it the state's oldest festival. A three-day happening, it takes place in "downtown" Sonoma on the historic plaza, which is surrounded by numerous restaurants, art galleries, and the 21st and final Mission built by the Franciscan priests. On the agenda are an amateur wine-making competition, a re-enactment of the Bear Flag Rebellion (which took place on the Plaza), a grape stomp, arts & crafts booths, live entertainment, a parade, a Gala Party, and a lot more. 9/24-26. See the schedule for event times. Many events are free. 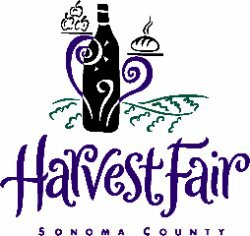 Sonoma County Harvest Fair: The Fair features three full days of wine tasting with 150+ wineries, wine sales, chef demonstrations, microbrew tasting, farm and harvest agricultural activities for children and adults, the World Championship Grape Stomp, continuous live jazz, an art show, crafters pavilion, a family carnival, and much more. Special wine events include two separate 2.5-hour flight tastings with unlimited pours ($35/each): Flight 1 is led by Sommeliers who educate and answer questions; Flight 2 is a social networking tasting in which participants choose the tasting's best wine. 10/1-3 (until 7 p.m. each day); $8/adults, $3/children (under 6 free). West Sonoma County Wineries Open House: Discover Russian River Valley's hidden wine treasures during the inaugural West County Open House, when a handful of artisinal wineries located along the Highway 116 corridor welcome the public to celebrate the 2010 harvest and taste their specialty wines. Participating wineries include Balletto Vineyards, HANNA Winery, Dutton Estate-Sebastopol Vineyards, Taft Street Winery, Dutton Goldfield Winery, and Marimar Estate--all located within 2 miles of each other. 10/3, 11-4; Free.